Although there are only four little clamps, two rigid clamps and two flexible clamps, their arrangement and function are ingenious: the ORTLIEB Rack-Lock system is a completely new, universal system for mounting bike bags and baskets directly to your bike rack. This makes additional adapters unnecessary and your bike rack remains free of annoying attachments. 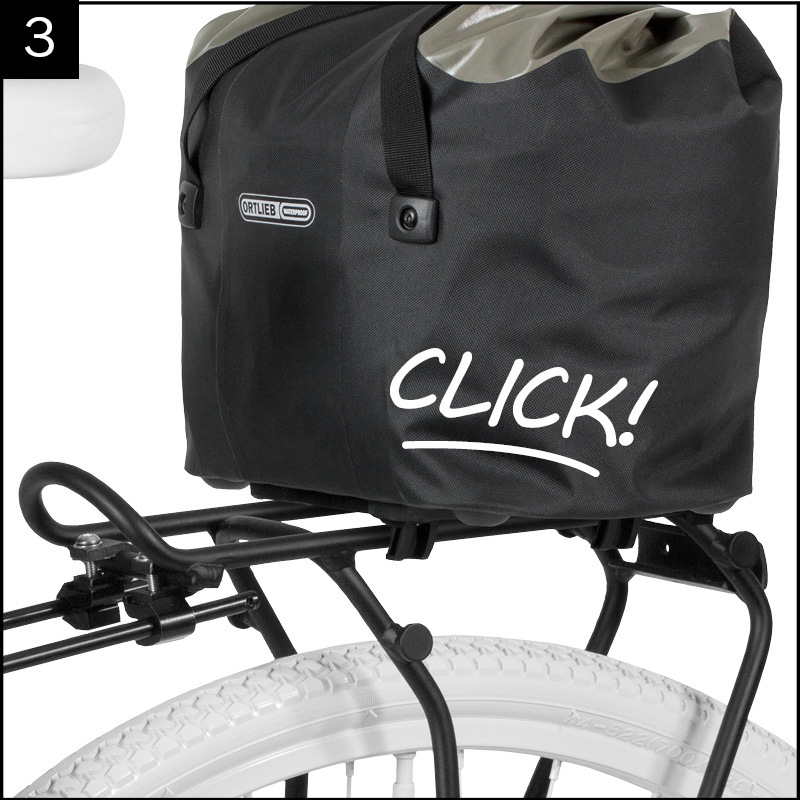 The Rack-Lock system allows you to mount your bags to your bike rack in seconds (2). Just apply a little bit of pressure, and your bag or basket snaps into place (3). 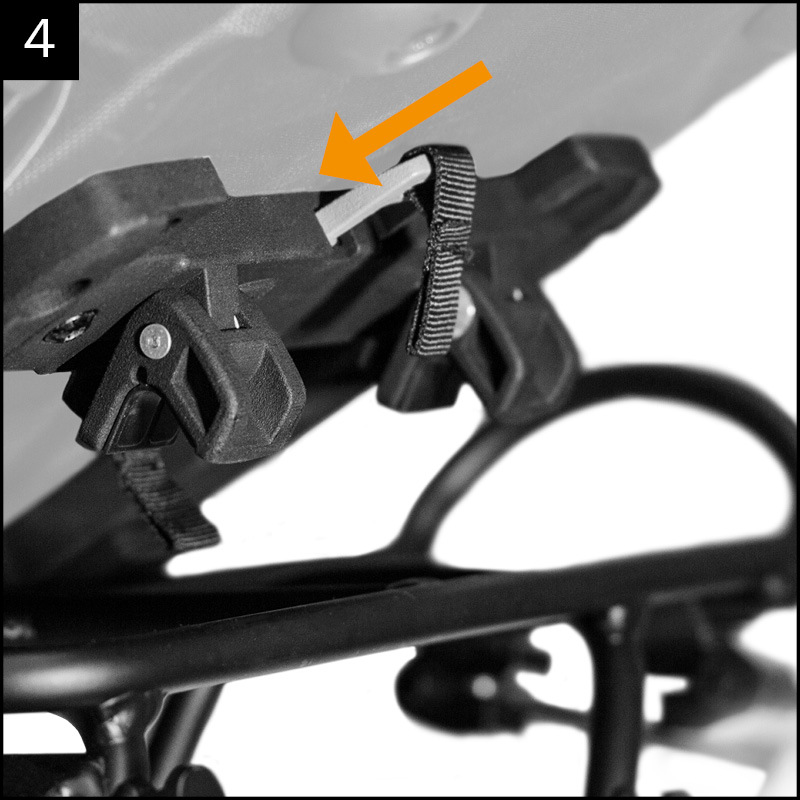 Removing your bags is just as quick and convenient (4), with the release lever even offering an additional function: it can be removed and used as a key to securely lock your bag of basket to your bike rack. This means that you don’t need to take your bag or basket with you after parking your bike. 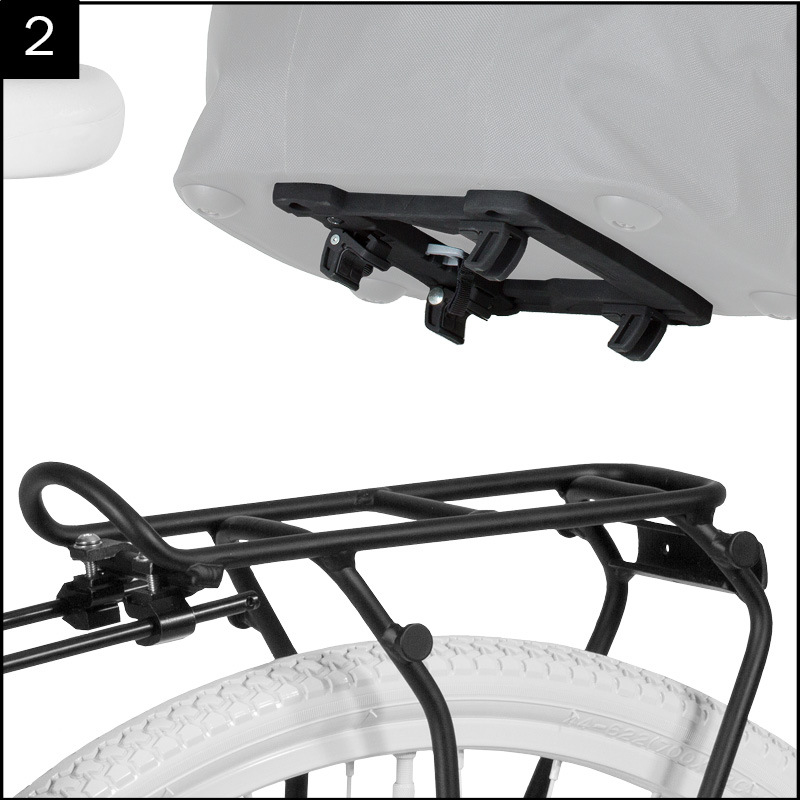 The Rack-Lock system is attached to the underside of your bike bag or basket and can be adapted with minimal effort to fit on virtually any commercially available bike rack, including racks with spring clamps. 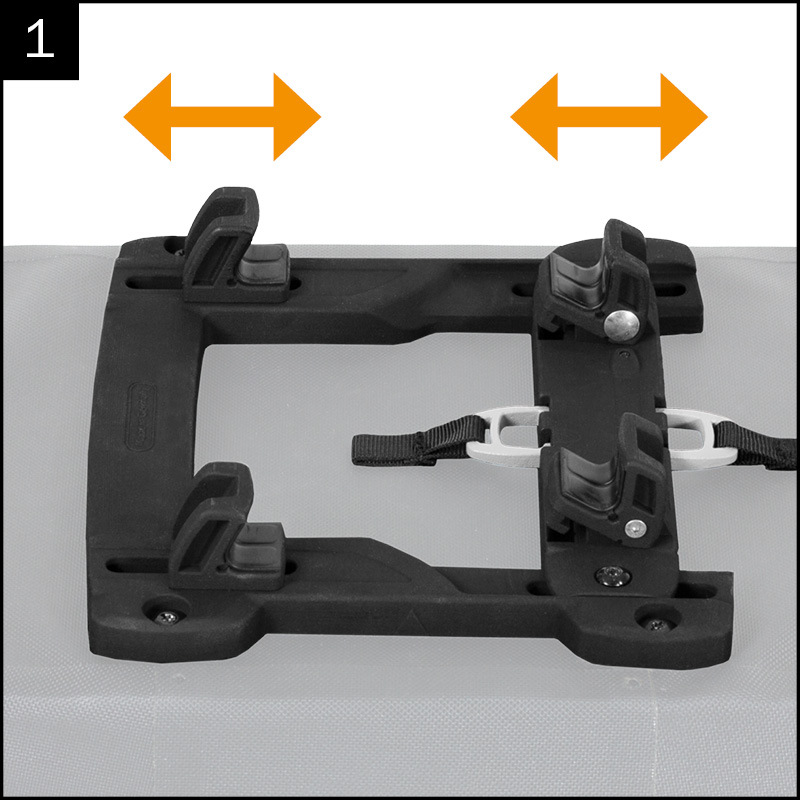 The four clamps with anti-slip inlays (1) are also adjustable in width and can be moved 180°. The Rack-Lock adapter ensures stable mounting with rack element diameters of 8 to 16 mm and rack widths of 60 to 160 mm. Each bag or basket can be loaded up to a weight of 10 kg. 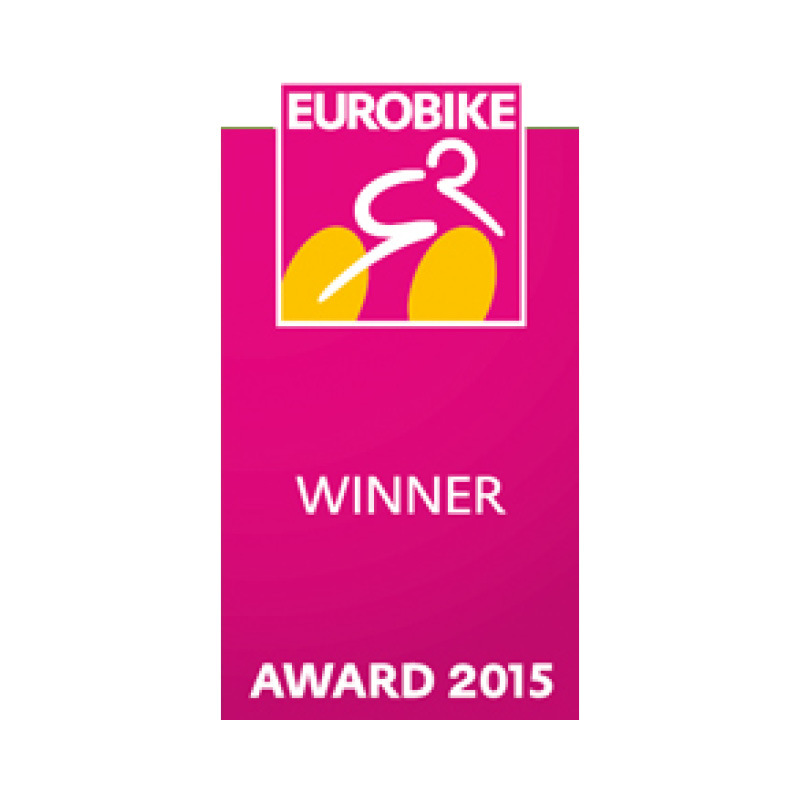 The Rack-Lock system was presented for the first time at the international EUROBIKE 2015 trade exhibition and was promptly selected as the winner of the coveted EUROBIKE AWARD, one of the one of the most prestigious awards in the bicycle industry.